The glazing clamps that hold the glass balustrades in place allow for movement of the oak posts as they slowly shrink. 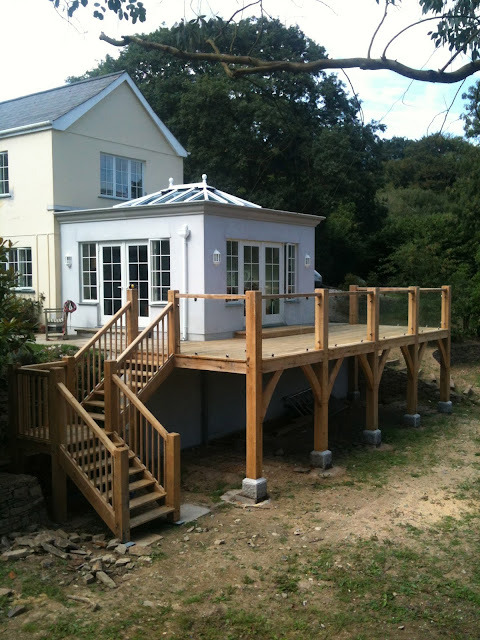 The oak decking boards have been orientated "heart up", and have grooves cut in the underside of them to minimise their tendency to cupping, and elsewhere, slip tenons and housings hide the effects of further timber shrinkage. 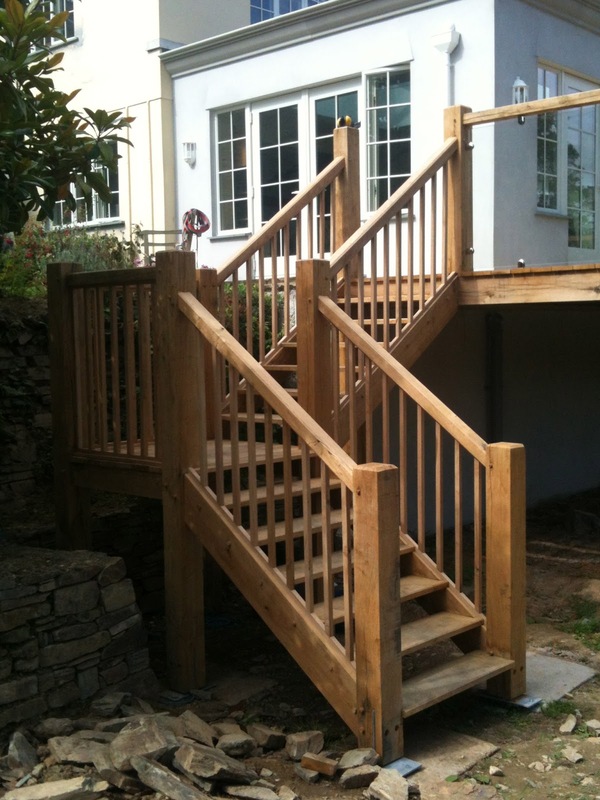 The staircase was a particularly enjoyable part of the project, and is assembled using extensive traditional pegged joinery and a very bare minimum of stainless steel fixings.